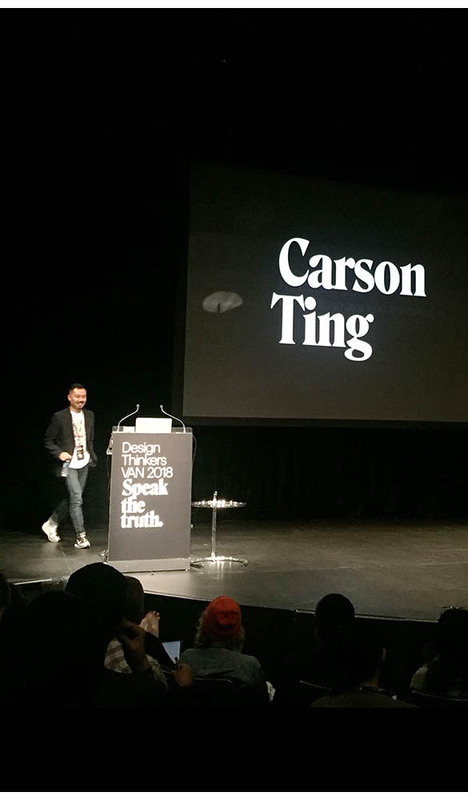 Thank you RGD for having me speak at this year’s Speak The Truth Design Thinkers conference. Written by Carson Ting. Posted on May 31, 2018. Filed under Blogging. Tagged aaron draplin, conference, designthinkers, draplin, gdc, gemma o'brien, rgd, speak the truth, talk, vancovuer. 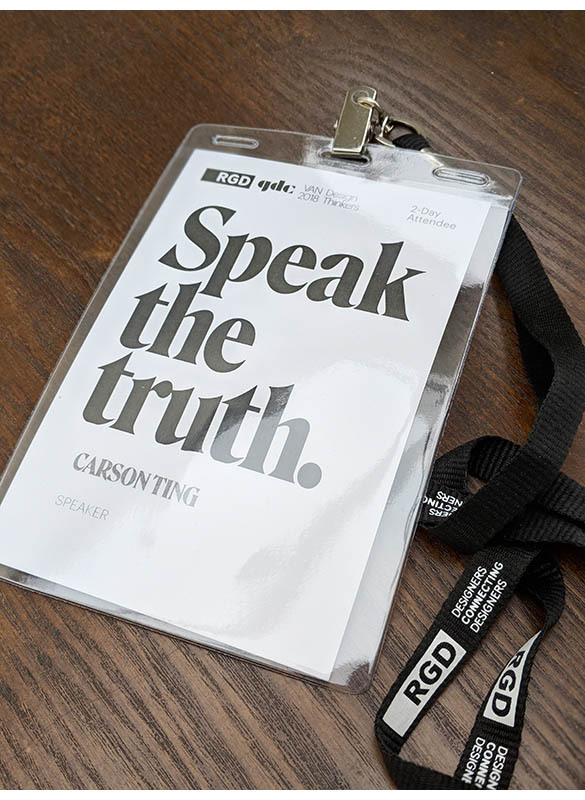 Comments Off on Thank you RGD for having me speak at this year’s Speak The Truth Design Thinkers conference.. 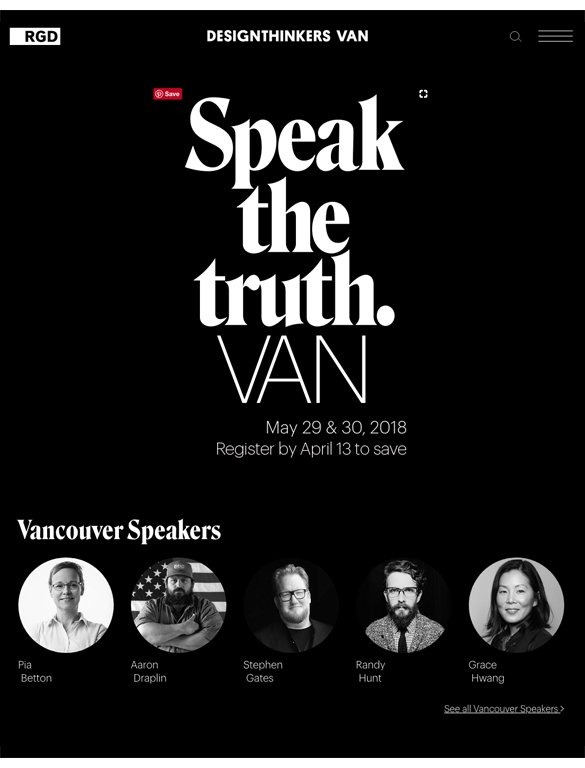 I seriously had an amazing time speaking at this years RGD‘s ‘Speak The Truth’ design conference here in Vancouver. It is such an honour to be invited to such a fun and inspiring event! It was honestly very difficult to prep for this talk as our project workloads have ramped up significantly recently at the studio. Prepping for this talk meant sneaking away from a kid’s birthday party to build the presentation slides, working weekends, early mornings, late nights and blah blah blah…but in the end, it was totally worth the time. I also need to thank my amazing design intern, Aiken Lao for her help on research and helping me fine tune my topic. It was also one of the best conferences I’ve been to. 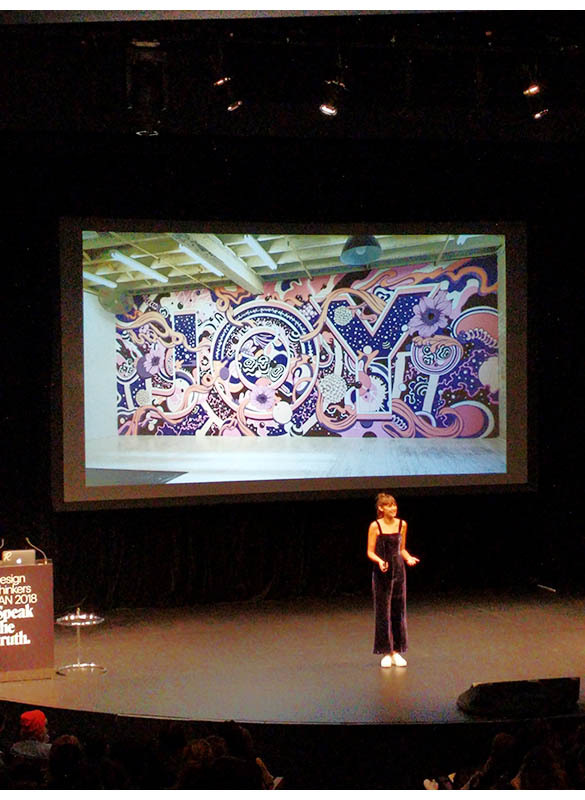 I was so incredibly moved and inspired by talks done by giants like Aaron Draplin and then discovering the ultra-talented designer and illustrator, Gemma O’Brien from Australia. Both of those talks truly inspired me to rethink my work and processes. Once the craziness settles down at the studio, I am motivated to produce a new body of personal work. It’ll be a lot of tinkering and experimenting. Written by Carson Ting. Posted on April 25, 2018. Filed under Blogging. 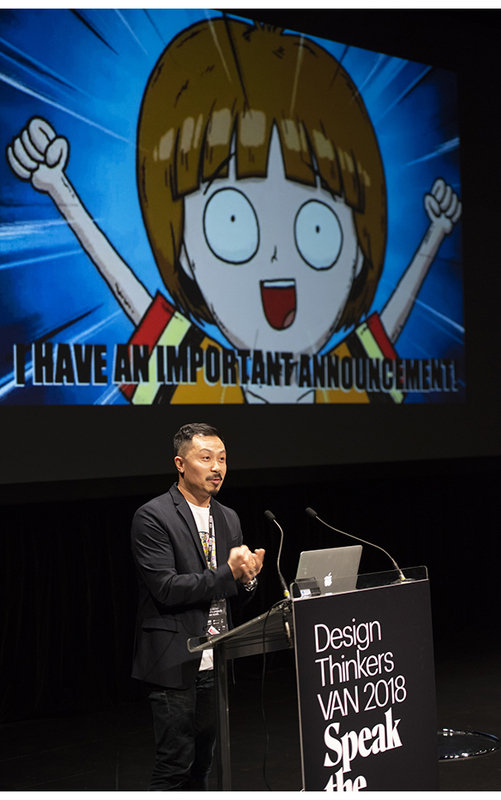 Tagged design thinkers 2018, gdc, rgd, speaking. 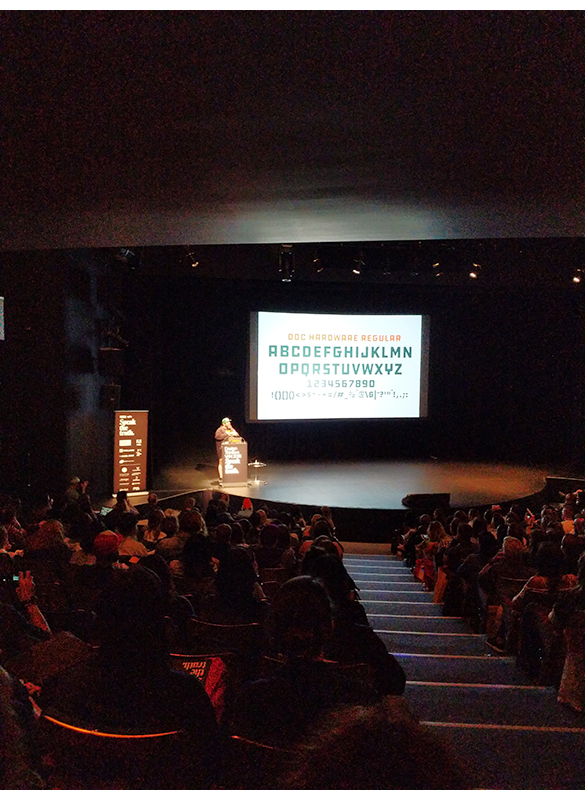 Comments Off on RGD Design Thinkers Vancouver 2018. 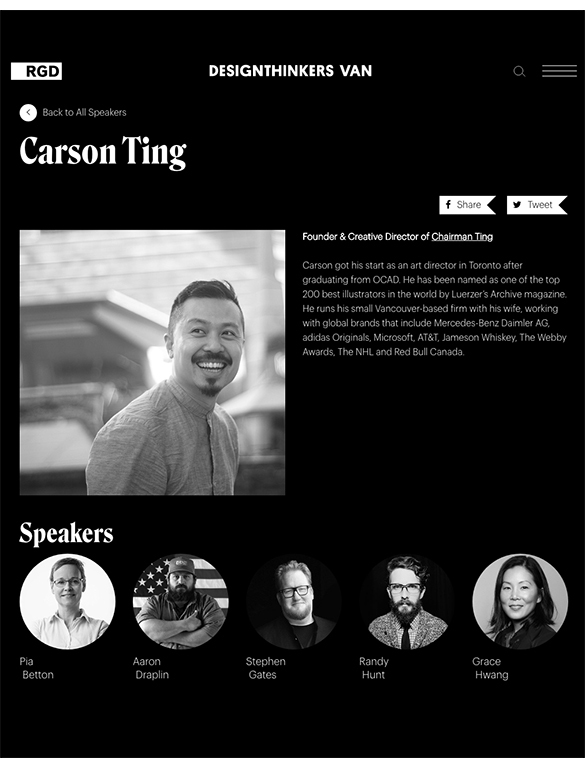 Excited to be invited to speak at RGD‘s Design Thinkers 2018 conference ‘Speak The Truth‘ But I’m even more excited to hear others like Aaron Draplin and Ian Grais speak.